Water cascades above a dramatically lit bar and lounge. Large plasma screens entertain you. Impressive sculptures adorn the walls. Plush carpet is beneath your feet. In other words, this is not your typical Midwest casino. Far from it. Inspired by the lavish casinos of Las Vegas, the gaming area at Riverside Casino & Golf Resort sets a new standard of excitement, entertainment and fun. The golf course at Riverside Casino & Golf Resort will make any golfer feel like a champion. After all, it was designed by Rees Jones, a designer of championship golf courses. 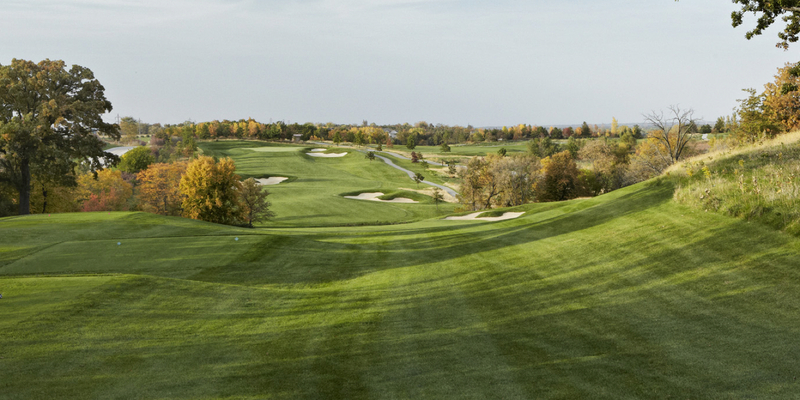 Jones adds this outstanding 18-hole course to his list of more than 100 courses, including seven U.S. Open venues, five PGA courses and three Ryder Cup sites. Spanning over 7,400 yards, Riverside's world-class golf course offers players breathtaking vistas overlooking two rivers, man-made lakes and diverse terrain. 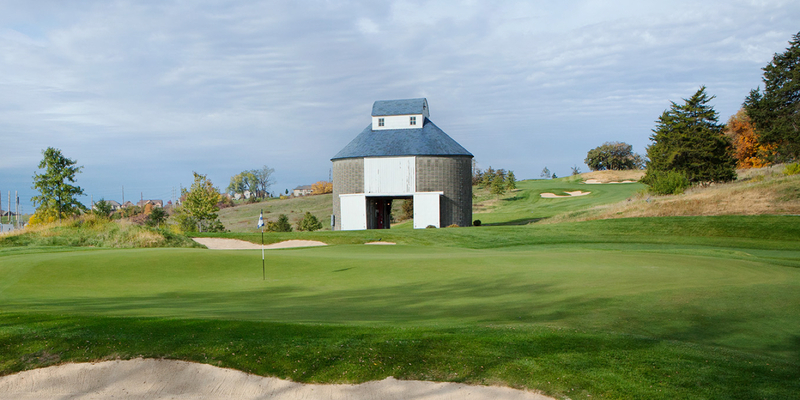 It all adds up to a one-of-a-kind golfing experience for beginners and pros alike. Complementing this awesome golf course is a full-service golf clubhouse, a pro shop, and teaching and practice facilities. For more information or to schedule your tee time, call 877.677.3456. Please call 319-648-1234 for current rates. 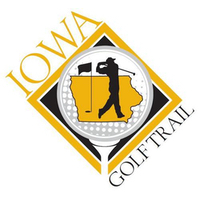 Call 319-648-1234 for rates and tee times. Contact Blue Top Ridge at Riverside Casino at 319-648-1234 for more information and details on holding a golf outing at the course. One step into your hotel room and you'll know why we say, Live It Up! at Riverside Casino & Golf Resort. Sophisticated interior design complements outstanding personal service and modern amenities to envelope you in total luxury and comfort. A look out your hotel room window reveals a panoramic view of our world-class golf course. Simply stated, there is nothing else like it in the Midwest. Within minutes of your room, you'll discover our spacious indoor/outdoor pool, a Vegas-inspired casino, fine dining venues and more. Whether you're planning a special evening or a weekend getaway, Live It Up! at our hotel. Expect the best when it comes to dining at Riverside Casino & Golf Resort. Enjoy a succulent steak or fresh seafood cooked to perfection in the quiet and elegant atmosphere of Ruthie's Steak & Seafood. Take your pick of flavors - Italian, Asian or comfort food - at Robert's Buffet. Grab a burger and fries at Ripple Diner. On the run? Pick up a cup of coffee and a snack at Ripple Express. Something is always cooking at Riverside Casino & Golf Resort®, and it's all very, very good. High-quality personalized services designed to meet the needs of both men and women. After a long meeting or before your night out, take time to unwind and enjoy the tranquility of our Aveda Salon & Spa. This profile was last updated on 03/28/2019 and has been viewed 25,396 times.